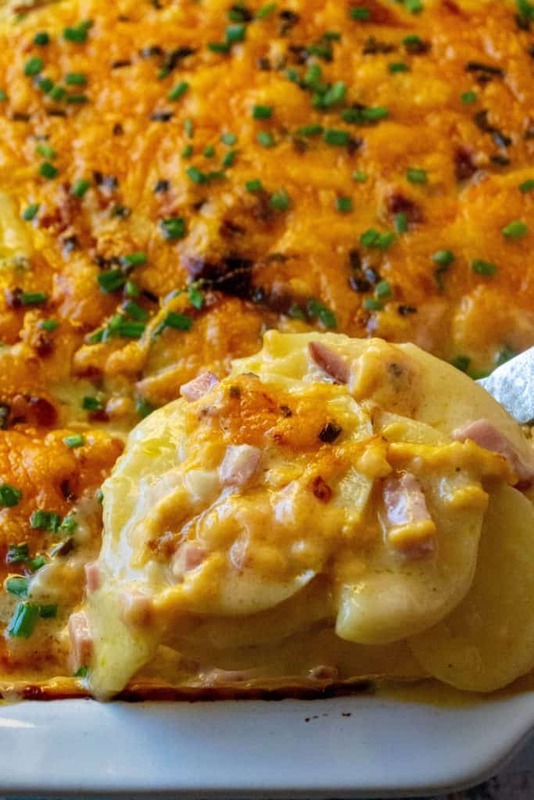 Cheesy Scalloped Potatoes and Ham is the ultimate in cheesy potato comfort food recipe. 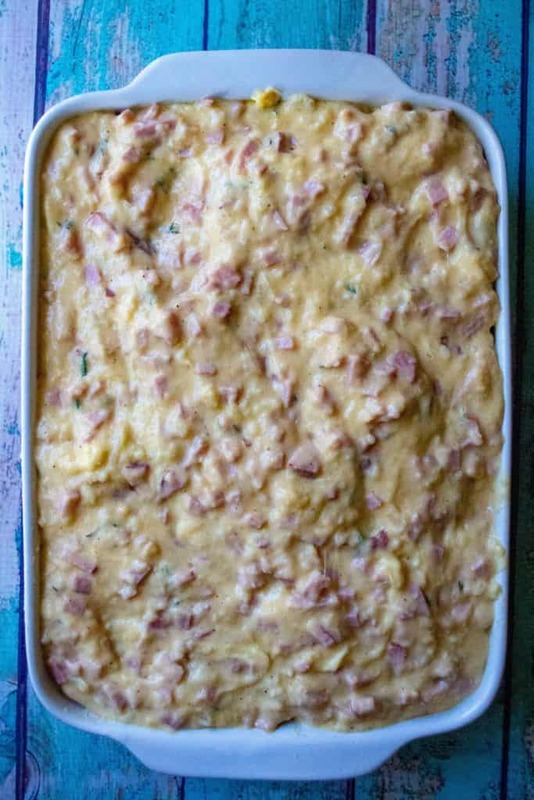 Made with tons of creamy cheese, sliced potatoes and chunks of ham, this Cheesy Scalloped Potatoes and Ham recipe is the perfect make ahead dinner or the best every day meal. WARNING! This Cheesy Scalloped Potatoes and Ham recipe is not keto, low-carb, low fat, heart healthy or on any standardized diet plan. That, my friends, is exactly why you need to make this! In the eternal quest for looking good and feeling good, so many of us make the choice to cut out alot of the foods we have come to love most. Cheese, carbs, pizza, steak, dairy … and I am not saying we should or we shouldn’t but I am suggesting that every once in a blue moon, it’s okay to backslide for a minute and indulge a bit. Besides, what’s the point of living to be 100 years old if you can’t be happy and eat a donut once in a while? Now that we are all putting our guilt aside, let’s talk about some good old fashioned scalloped potatoes and ham! 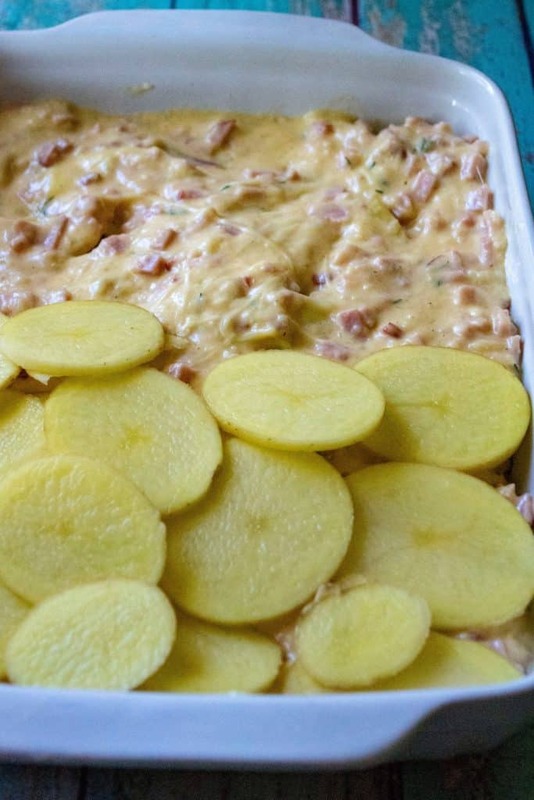 Scalloped potatoes and ham was one of the first recipes I learned to make on my own although I will admit that my homemade scalloped potatoes recipe at the age of 19 and living on my own is much different than the cheesy scalloped potatoes and ham recipe I rely on today. 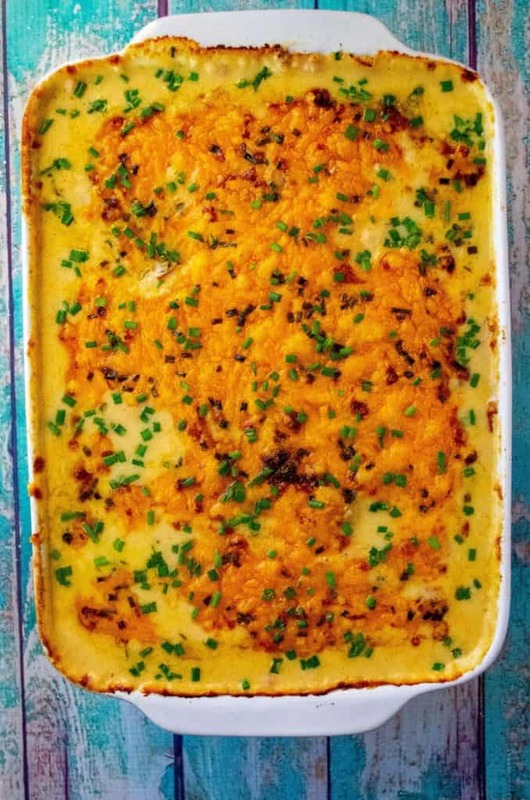 Processed cheese has a place in life but these days I prefer my scalloped potatoes to have a bit more variety than ‘cheese’ out of a cardboard box. 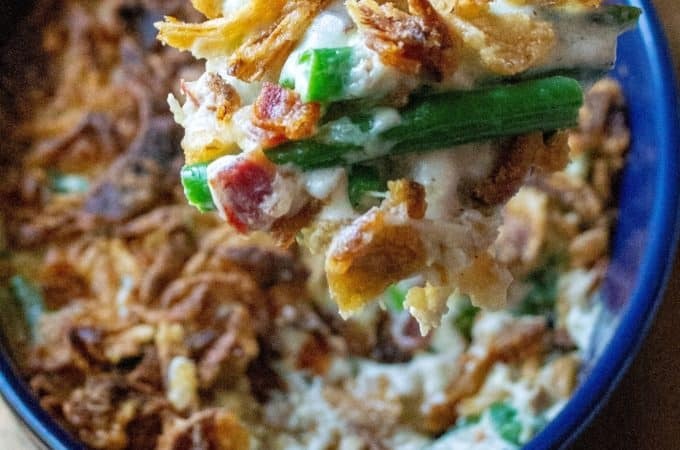 That being said, if you go online you can find dozens of different ways to tweak this favorite cheesy dinner idea recipe and this recipe is my take on one of my all-time favorite potato dishes. DIFFERNCE BETWEEN AU GRATIN AND SCALLOPED POTATOES? 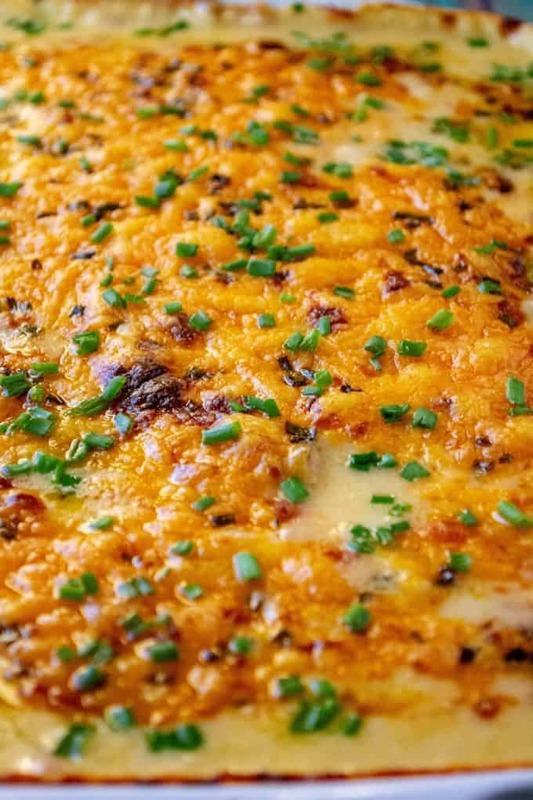 What’s the difference between scalloped potatoes an au gratin potatoes? Traditionally speaking, the difference comes down to preference. Both are thin sliced potatoes cooked in a casserole dish and most often in a cream sauce. Scalloped potatoes sometimes have cheese whereas au gratin potatoes almost always is cooked with cheese. Au gratin potatoes sometimes have a crunchy breadcrumb topping, scalloped potatoes usually have a breadcrumb topping. See? Clear as mud and lots of flexibility but either way, both dishes are amazing! BEST POTATOES FOR SCALLOPED POTATOES? WHAT KIND OF HAM AND CHEESE FOR SCALLOPED POTATOES AND HAM? 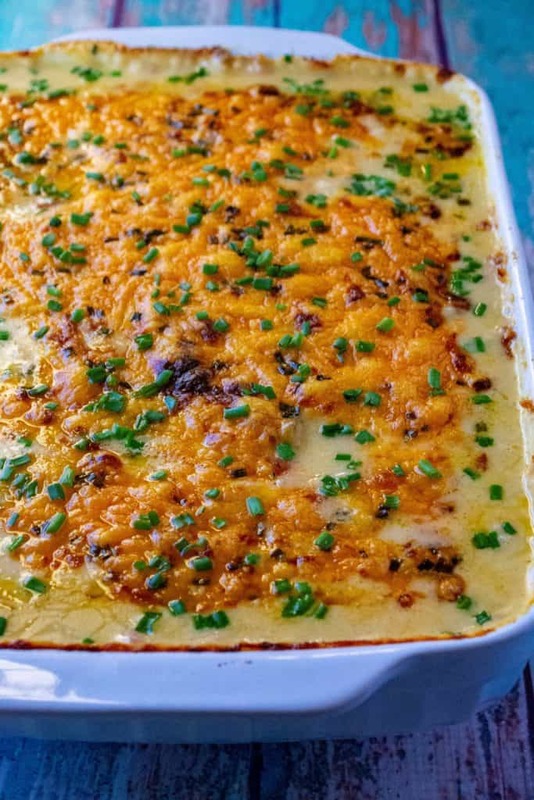 My favorite combination of cheeses to use for scalloped potatoes is sharp cheddar, parmesan and a bit of gruyere… I also substitute the gruyere with swiss cheese if I can’t find gruyere in my deli cheese section of the grocery store. 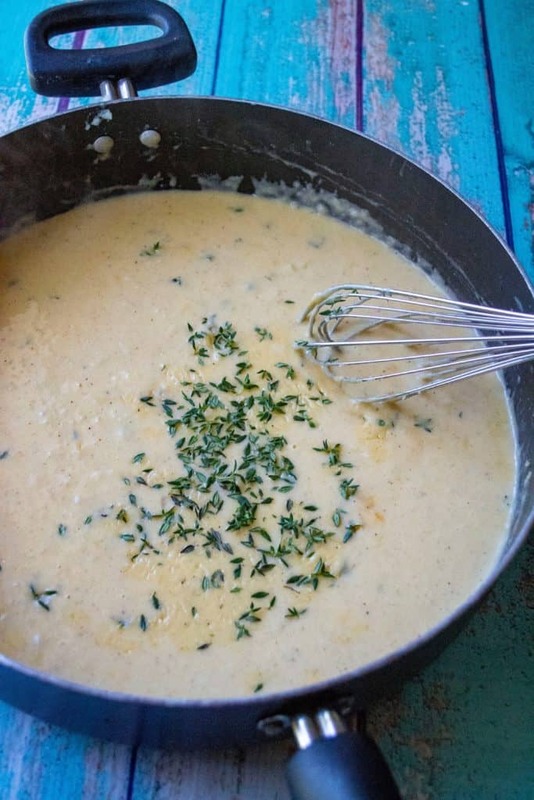 You can also use colby, monterey jack or plain cheddar, if you like. 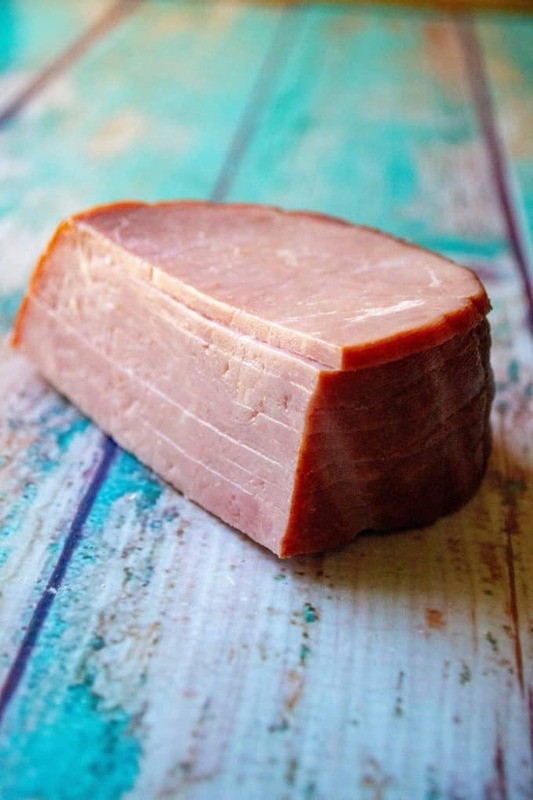 When it comes to the ham, I like to use either a ham steak or a chunk of pre-cooked ham sold in the ‘ham section’ of my grocery store. Skip the slices of deli / sandwich ham.. those are too thin for what we are making. I also find this is a PERFECT dinner dish to use up leftover ham from holidays. 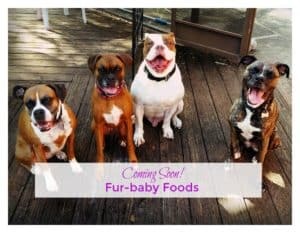 Easter, Christmas and (sometimes!) Thanksgiving often times leaves you with a ton of ham left over. 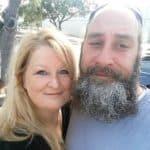 My favorite dishes to use some of that ham up is this recipe for Cheesy Scalloped Potatoes and Ham, Ham and Cheese Scones and my Slow Cooker Pasta e Fagioli soup. MODIFICATIONS, IF YOU PLEASE ..
Not looking to add meat to this cheesy scalloped potatoes recipe? No worries, simply leave out the ham and you still have an amazing meal! 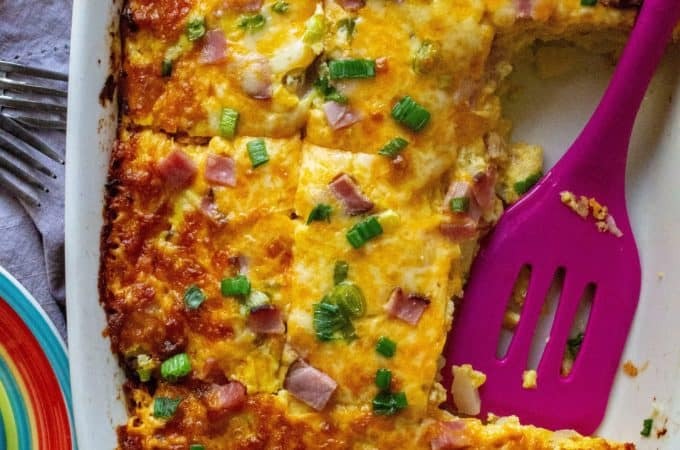 Want to lighten up this casserole dish of happiness? Feel free to replace omit the heavy cream and instead substitute it and the whole milk with 2% or low fat milk. You can also leave out the butter and use a margarine product instead. I wouldn’t mess with the cheese though … you need good cheese for this dish. Speaking of cheese, blow past those pre-shredded bags of cheese you find in the grocery store. When it comes to melty, bubbly ooey gooey cheese, you really do want to use block cheese and shred it yourself. I know it’s a pain but your sacrifice will be rewarded! Pre-shredded bags of cheese do not melt well and usually produce a very greasy end result. If you are looking to make this in advance, feel free to do so up to 6-8 hours ahead of time. 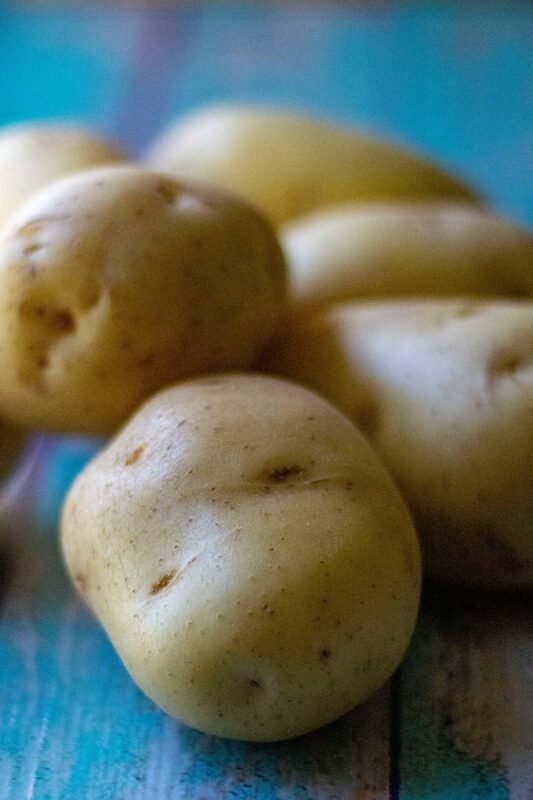 Any longer and your potatoes will start to give up too much water and you don’t want that. Simply make your Cheesy Scalloped Potatoes and Ham as instructed, let cool and then cover and refrigerate until needed. Then, bake as instructed but add an extra 15-20 minutes on to your original bake time with the foil on. HOW DO YOU MAKE CHEESY SCALLOPED POTATOES AND HAM? Easy! 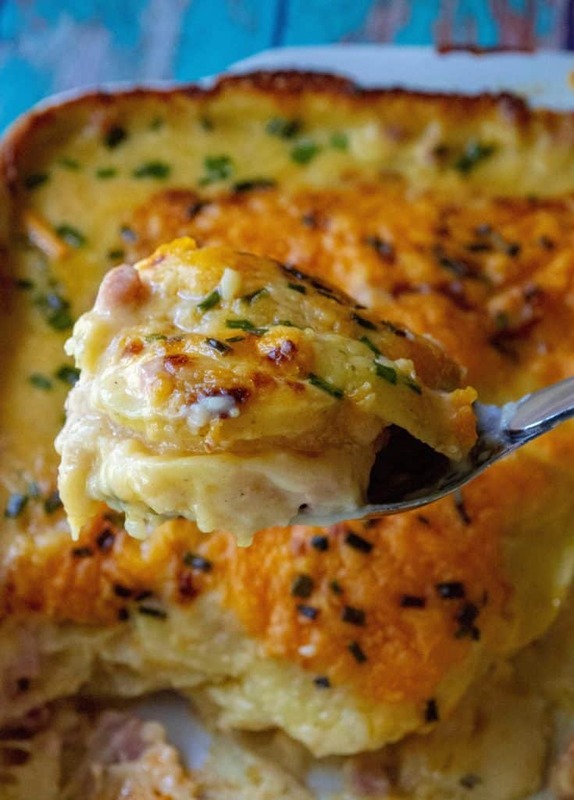 Start this Cheesy Scalloped Potatoes and Ham recipe by preheating your oven to 425 degrees, lightly butter a 9×13 casserole dish and set aside. In a large skillet, melt butter over medium high heat and then add in your sliced onions. Saute for 4-5 minutes before adding in the minced garlic. Stir and cook for another minutes, making sure not to let your garlic burn. Add in the flour and whisk to combine while cooking for another 1-2 minutes to get rid of the raw flour flavor. Next, pour in your chicken stock, milk and heavy cream and continue to whisk to combine while breaking up any flour clumps. Add in the spices and fresh thyme and bring the mixture to a low boil while continuing to whisk as to not let the flour settle and burn. Once you reach a low boil, add in your sharp cheddar, gruyere (or swiss) cheese and Parmesan cheese and your ham chunks and stir to combine. Remove from the heat to let your cheese gently melt. While your cheese is melting, thinly slice your potatoes with either a sharp knife or a mandolin slicer. Try to slice your potatoes about 1/8 of an inch thin (super thin!) and as uniformly as possible. Once your cheese has melted, start by placing half of your potato slices in an even layer in your casserole dish. Fork out about half of the sliced onions out of your sauce and arrange on top of the potatoes before pouring half of the ham/cheese sauce on top of your potato layer. Then layer on the other half of the potatoes, arrange more of the sliced onions from your sauce and then pour the remaining ham/cheese sauce on top, making sure to cover your potatoes completely. 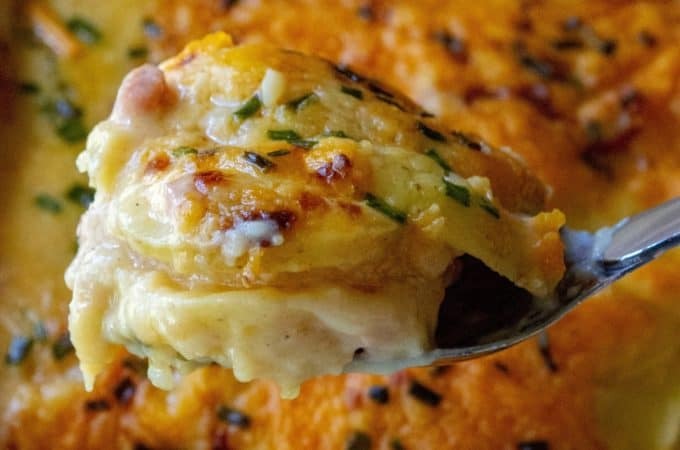 Cover you Cheesy Scalloped Potatoes and Ham dish with foil and bake for 40 minutes before removing the foil, adding more cheese and chives on top and baking uncovered for another 40 minutes. Remove from the oven and let sit for 10-15 minutes before serving. Looking for more easy casserole recipes? 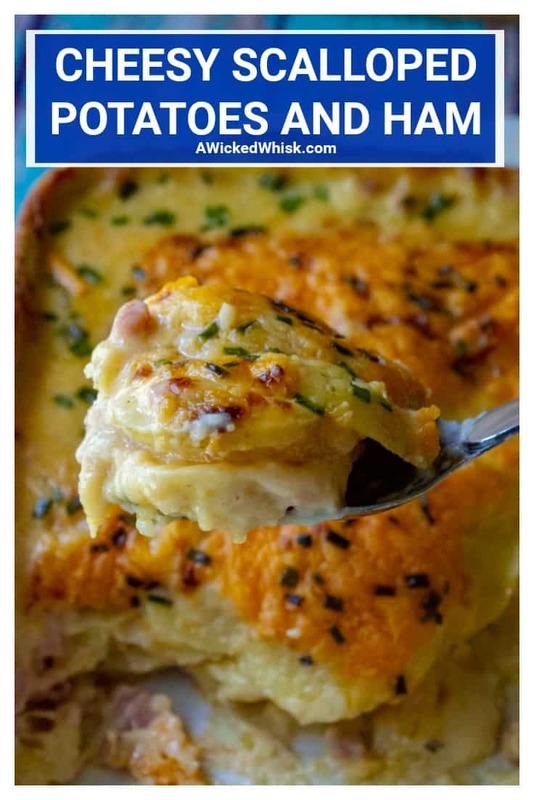 Check out a few of my favorites below ..
Start this Cheesy Scalloped Potatoes and Ham recipe by preheating your oven to 425 degrees, lightly butter a 9x13 casserole dish and set aside. In a large skillet, melt butter over medium high heat and then add in your sliced onions. Saute for 4-5 minutes before adding in the minced garlic. Stir and cook for another minutes, making sure not to let your garlic burn. Add in the flour and whisk to combine while cooking for another 1-2 minutes to get rid of the raw flour flavor. Next, pour in your chicken stock, milk and heavy cream and continue to whisk to combine while breaking up any flour clumps. Add in the spices and fresh thyme and bring the mixture to a low boil while continuing to whisk as to not let the flour settle and burn. Once you reach a low boil, add in your sharp cheddar, gruyere (or swiss) cheese and Parmesan cheese and your ham chunks and stir to combine. Remove from the heat to let your cheese gently melt. While your cheese is melting, thinly slice your potatoes with either a sharp knife or a mandolin slicer. 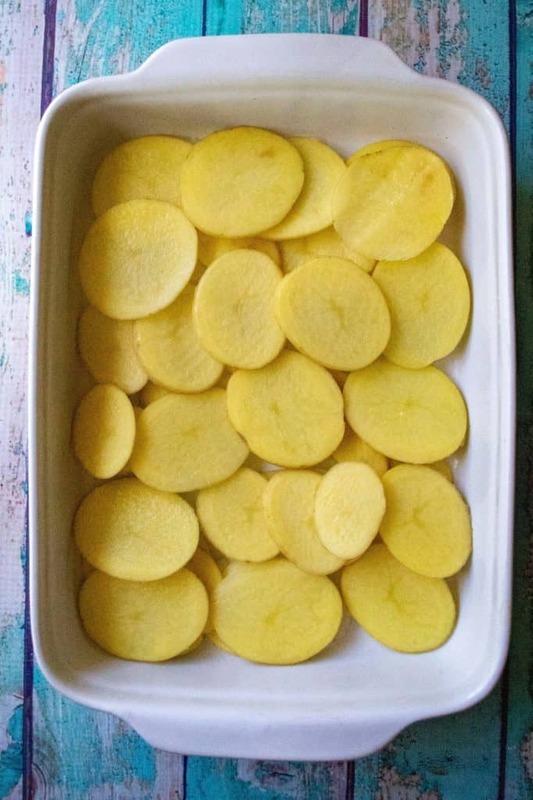 Try to slice your potatoes about 1/8 of an inch thin (super thin!) and as uniformly as possible. Once your cheese has melted, start by placing half of your potato slices in an even layer in your casserole dish. Fork out about half of the sliced onions out of your sauce and arrange on top of the potatoes before pouring half of the ham / cheese sauce on top of your potato layer. Then layer on the other half of the potatoes, arrage more of the sliced onions from your sauce and then pour the remaining ham / cheese sauce on top, making sure to cover your potatoes completely.